Let's see the next amazing thing baking does now! Tickets are now on sale for the national tour of Waitress in Boston. The blockbuster Broadway musical, featuring a score by Grammy and Tony Award nominee Sara Bareilles ("Love Song," "Brave"), will play the Boston Opera House from February 20 through March 4, 2018. 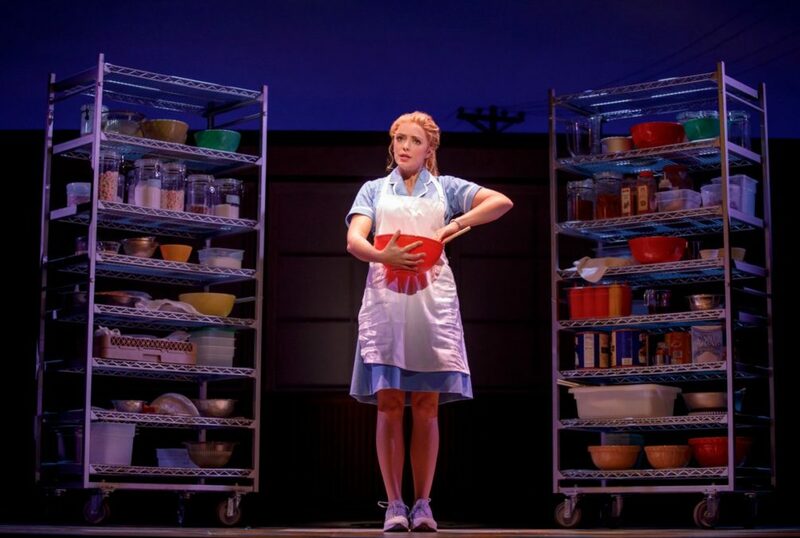 Inspired by Adrienne Shelly's beloved film, Waitress—The Musical tells the story of Jenna, a waitress and expert pie maker who dreams of a way out of her small town and loveless marriage. A baking contest in a nearby county and the town's new doctor may offer her a chance at a fresh start, while her fellow waitresses offer their own recipes for happiness. But Jenna must summon the strength and courage to rebuild her own life. The cast of Waitress includes Desi Oakley as Jenna, Bryan Fenkart as Dr. Pomatter, Charity Angél Dawson as Becky, Lenne Klingaman as Dawn, Jeremy Morse as Ogie, Nick Bailey as Earl, Ryan G. Dunkin as Cal and Larry Marshall as Old Joe. Brought to life by a groundbreaking all-female creative team, this hit musical features direction by Tony winner Diane Paulus, original music and lyrics by Bareilles, a book by Jessie Nelson and choreography by Lorin Latarro. It only takes a taste when you know it's good, so get your tickets to Waitress—The Musical today!